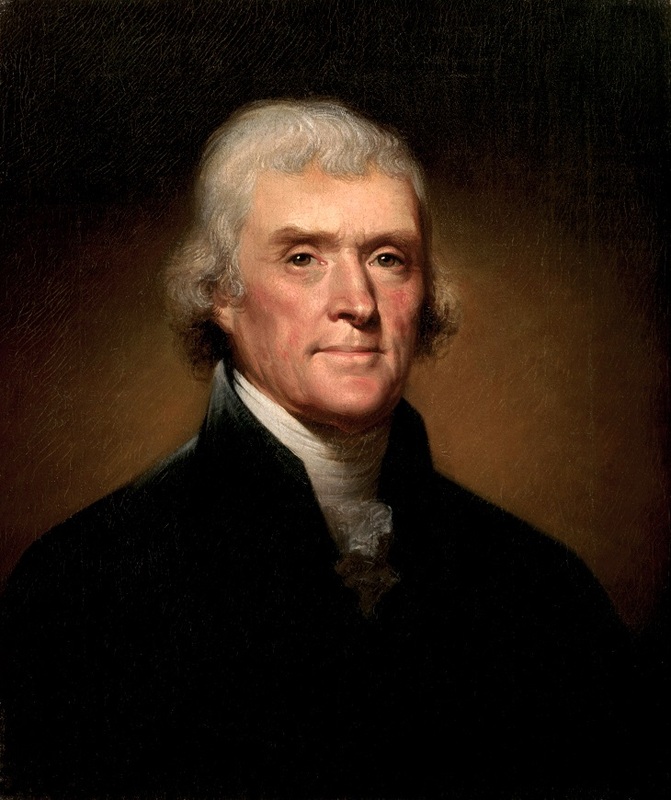 Serving two terms in office from 1801 to 1809, Thomas Jefferson was the third president of the Unites States. According to a poll made by the American Political Science Association in 2015, Thomas Jefferson Accomplishments made him the fifth most popular US president of all time. As the foremost spokesperson of democracy of his time, he had a major role in America’s early development. He said that a free and democratic government was “the strongest government on Earth” and during his life he had several outstanding achievements. Let’s see Thomas Jefferson’s major accomplishments! Thomas Jefferson was a member of the Continental Congress and he was chosen to draft the Declaration of Independence in 1776. Jefferson was not a great speaker, but he was known for his writing skills. He contributed his pen rather than his voice to the patriot cause, to write the declaration proclaiming the independence of the colonies. 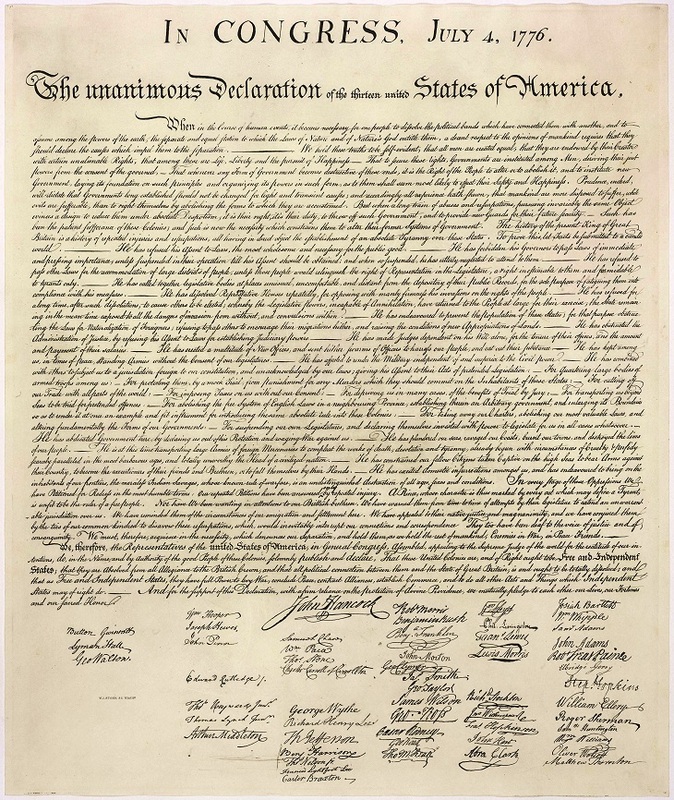 The document announced that the thirteen American colonies regarded themselves as newly independent sovereign states. It also proclaims universal liberties, that all men are equal in rights, regardless of birth, wealth, or status. Thomas Jefferson wanted the land for the United States, he had a vision for America to stretch from the Atlantic to the Pacific Ocean. 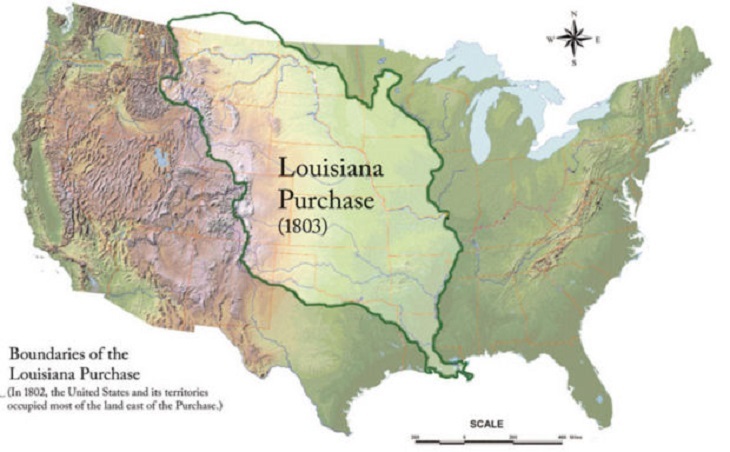 The Louisiana Purchase was perhaps the most notable achievements of his first presidential term. It was a land deal between France and the United States. With the help of this deal the US acquired 827,000 square miles of land west of the Mississippi River, doubling the size of the United States. Thomas Jefferson wrote the Virginia Statute for Religious Freedom in 1777 but it was only introduced into the Virginia General Assembly in 1779, in Fredericksburg, Virginia. In 1786 Virginia lawmakers eventually enacted the statute into the state’s law. Jefferson considered it to be one of the significant achievements of his career. It established religious freedom, protecting people’s right to worship as they choose. It was also a forerunner to the First Amendment to the US Constitution. Prior to his presidency, Thomas Jefferson was the first United States Secretary of State, serving from 1789 to 1793 in George Washington’s administration. During these years British and French intrigues occupied the majority of US foreign policy. When war broke out between those two nations, Jefferson supported France in its war with Britain. However, essentially he believed that the United States should maintain neutrality in the conflict. In 1779 Jefferson wrote a draft for new legislation, that he considered very important: “A Bill for the More General Diffusion of Knowledge”. It outlined a plan for establishing Virginia public schools. Every county would have been divided into small districts of five or six miles square, and in each of them to establish a school for teaching reading, writing, and arithmetic. Although the bill never passed the Virginia Assembly, it laid the foundation for free public education. In his later years, after retiring from public life, Jefferson continued to advocate his plan. 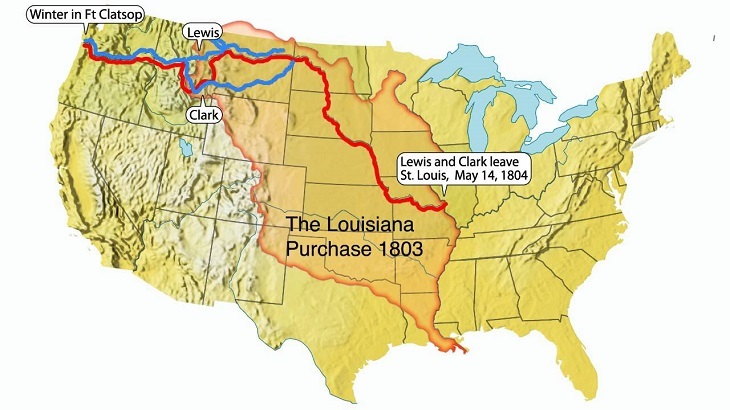 After the Louisiana purchase in 1803, Jefferson commissioned his secretary Meriwether Lewis and William Clark to explore the new territory, plus the area beyond, out to the Pacific Ocean. His aim was to find a river to the Pacific Ocean, to trade with the Native Americans and to learn about the animal and plant life of the western part of the continent. The expedition provided valuable information about the geography and after the explorers returned, people everywhere read the stories of the amazing trip to the ‘wild west’. During his presidency Thomas Jefferson had great impact on the Indian nations of North America. He viewed Native Americans as subjects of intellectual curiosity or saw them in political terms as enemies in war or partners in peace. His Native American policy had two main ends, one is to guarantee the security of the United States and the other is to further the program of gradual “civilization” through treaties. He wanted to keep the Indian nations allied with the United States and not with European powers – England in Canada and Spain. President Jefferson encountered more difficulties on both the domestic and foreign fronts during his second term. He managed to keep the Nation from involvement in the Napoleonic wars and thus he maintained neutrality in the midst of the conflict between Britain and France. His efforts did not avert war with Britain in 1812. 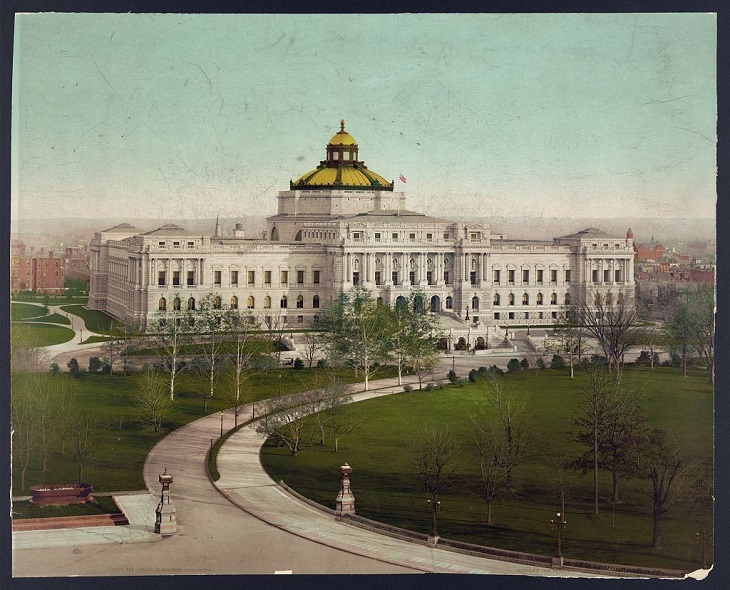 In 1814, the British invaded Washington and destroyed the Capitol, including the Library of Congress. To replace the lost books, Jefferson sold his personal library to Congress which formed the foundation of the rebuilt Library of Congress’s collections. After leaving office Jefferson retired to his Virginia plantation, Monticello. There, he continued to pursue his many interests, including architecture, music, reading and gardening. At the age of seventy-six, Jefferson embarked on his last great public service, with the founding of University of Virginia. He designed its buildings, planned its curriculum and served as the first rector. If you want to know more about Thomas Jefferson’s life and accomplishmentscheck out this awesome documentary film or purchase “The Art of Power“, a book by Jon Meacham.